At Wright Technologies, we work hard to challenge ourselves to create the best products this business has to offer! Contact us for a customized amplifier! 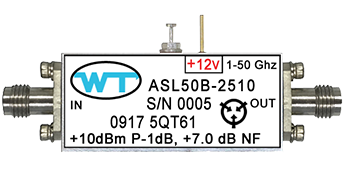 WT Amplifier Products are being expanded throughout the Product library. WT works hard to offer unique Standard Broadband products that can be utilized in narrow band customer requirements. Most all amplifiers product consists of gain blocks starting at 20 dB, increasing up to 48 dB. 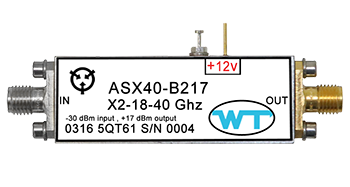 Frequency Converter Products are now offered as Standard Products WT offers unique Broadband products that can be customized to meet customer requirements. Most all Converters products can be designed with gain blocks starting at 20 dB, increasing up to 35 dB.